Here in the garden state this weekend it was unseasonably warm. I traded in my sweaters for skirts; it was a far cry from the very chilly Vermont. The warm weather was wonderful even though it, ironically, happened to be during the first weekend of winter. Did you know that Sunday was national bake something day? My family had yet to bake all of our Christmas goodies this year so naturally it was appropriate to spend the day creating truffles and cookies galore. Luckily, I had my camera nearby most of the day so I took a few shots of our sugary masterpieces. Each year, our neighborhood likes to give out cookies as Christmas gifts. Everyone gets a slew of chocolate chip cookies, so my family for the past seven years have made Ritz peanut butter cookies and Oreo truffles (amongst other things). People can not get enough of them. Seven years and everyone still goes on and on about how delicious both these cookies are. We only make these once a year so my neighborhood and family jump for joy when the time comes to make these desserts. 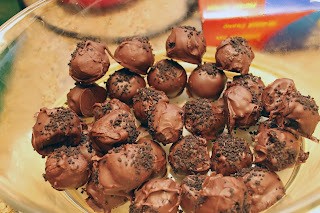 Now that I've told you about these specialties I guess it's only fair I also tell you how to make them. From this moment on, you'll have not one, but two insanely easy recipes to make that will impress your friends and family for a long time. They sound and look fancy, but are as easy as one, two, three. Literally. Only three ingredients? Say what? 1. Split up all of the Oreos. Have one bowl for the icing and one bowl for the cookie halves. Gradually grind up the cookie halves into a fine powder and set aside. Mix the cream cheese and icing together. Slowly add the ground up Oreos or powder into the cream cheese frosting mixture to your liking, but keep some left over as garnish for your truffles later on. 3. 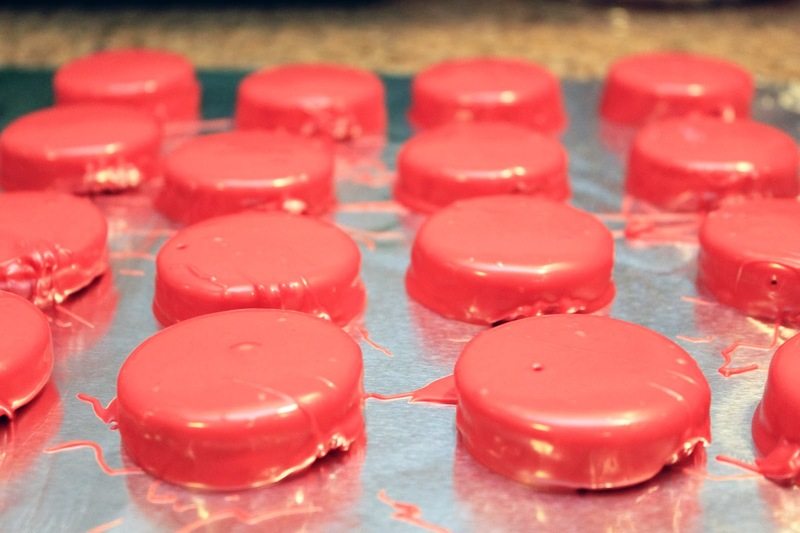 Roll the cream cheese and icing mixture into about a 1 inch balls and place on a cookie sheet covered in wax paper. 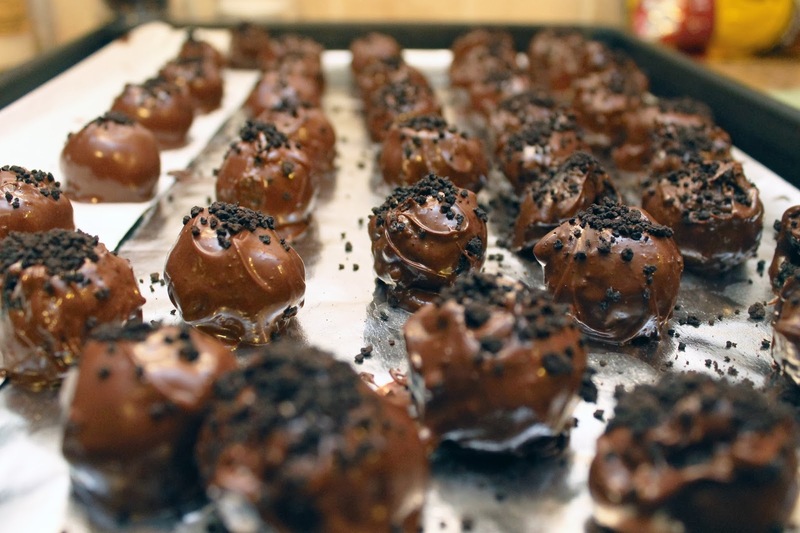 Let the truffles sit in the refrigerator for about 15 to 20 minutes or until firm. 5. Pour Nestle chocolate chips into a microwave safe bowl and put in the microwave for 30 second intervals, stirring in between each interval until thoroughly melted. 6. Using a spoon, take truffles and coat each one thoroughly in the melted chocolate and place back on the wax paper cookie sheet. Sprinkle your left over Oreo crumbs on top for a decorative touch. 7. Place back in the refrigerator to allow chocolate to harden. 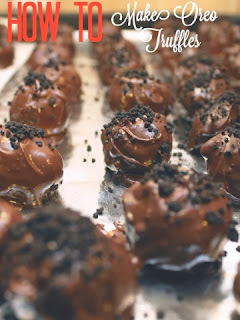 After what will seem like a long hour, you can finally enjoy your truffles! I guess this is not technically a cookie yet the perfect balance of sweet, salty and peanut buttery goodness leads me to believe otherwise. - 2 bags of chocolate wafers which can be found at Michaels of A.C. Moore in their baking section. ( NOT to be confused with the plethora of wafer cookies out there) My family usually goes for one bag of red and one bag of green to color our cookies, but you can choose whatever color(s) you please. How many bags you buy will matter only on how many you desire to make. Again, only three ingredients- fabulous! 1. Start by making peanut butter cracker sandwiches. Repeat to make as many as you see fit. 2. Pour chocolate wafers into a microwave safe bowl and put in the microwave for 30 second intervals, stirring in between each interval until thoroughly melted. 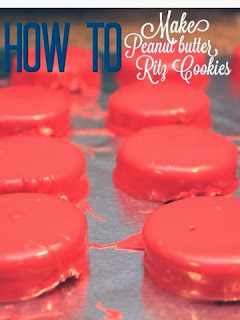 3.Using a fork, take each Ritz cracker sandwich and coat each one thoroughly in the melted chocolate and place back on to a aluminum foil covered cookie sheet. 4. Place cookie sheet in the refrigerator and let the cookies chill for 30 minutes or until firm and then enjoy! And there you have it folks. Two quick and easy recipes that I know will become just as sought after as a warm, gooey chocolate chip cookie. If you happen to make these, let me know through Pinterest, Instagram or Tumblr ( links are on the left side under ' Stay Conncected') by tagging buzzbootsandberries. These goodies are so unique and yummy that you may just eat them all yourself, and that's ok- it'll be our little secret.